Although the medical profession has a high success rate, some patients still suffer from diagnostic errors like misdiagnosis and delayed diagnosis. These types of mistakes might occur due to faulty testing equipment, laboratory errors or a doctor’s negligence. A misdiagnosis occurs when a doctor wrongly diagnoses a patient’s injury or illness. Treatment plans based off of the incorrect diagnosis can result in further injury and prolonged suffering. When a doctor’s negligence contributed to the misdiagnosis, a patient may have the legal right to pursue a medical malpractice claim. Correctly identifying a patient’s problem is complex and time-consuming, but it must be done fairly quickly. Delayed diagnosis, or diagnosis that occur after an abnormally long waiting period, are one of the most frequently reported errors made by doctors. Medication errors can occur when medicine isn’t prescribed or given timely. Treatment options may be reduced, an injury may be worsened an suffering may be unnecessarily increased due to such mistakes. Skilled doctors sometimes make these types of errors while using reasonable care, so determining whether your doctor was negligent is crucial for your case. 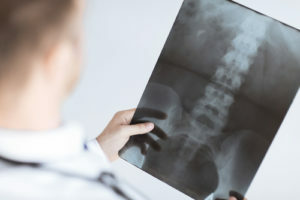 When negligence is at the root of your delayed diagnosis or misdiagnosis case, it’s likely you are eligible to pursue compensation in a medical malpractice claim. Our trusted attorneys at Blume, Forte, Fried, Zerres & Molinari are prepared to help you recover financially from your losses. Get in touch with our law firm by filling out our online form. NJ Medical Malpractice Lawyers | Blume Forte Fried Zerres & Molinari from NextLevel.com on Vimeo.